Nursing cover letter – informative, knowledgeable and committed. You have the qualifications and the experience, now you need to get the job. 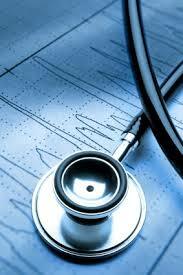 Prospective health practitioners and hospital receive thousands of applications, curriculum vitae and recommendations. You need to present a polished and credible cover letter for a resume to make sure that you are invited to that all important interview. Review the free cover letter for a nurse and adapt it to suit your specific needs. I would like to take this opportunity to submit my resume for the postion of [insert details] at [insert details]. I have been involved in the healthcare industry for [insert number] years and during this time, I have been fortunate to work at some excellent companies/hospitals/doctors. These opportunities have afforded me exposure to excellent role model, administrative and leadership contexts and invaluable nursing experience. My nursing and medical experience in the delivery of health and patient care has encompassed amongst others knowledge and practical experience in examination, diagnostic and treatment room procedures; medical equipment and instruments, safety hazards and precautions, as well as extensive administrative, record keeping, computer literacy and communicative skills. You will also note from my resume that I have both the academic and practical qualification requires as well as the necessary statutory and professional certification. I pride myself in my ability to work well and professionally with physicians and the entire clinical care teams, as well as working empathetically and confidentially with patients and their families alike. As reflected in my resume you will note that I have attended and participated in a number of professional development courses and seminars, as well as maintaining my memberships with professional nursing affiliation in my realization of the importance of staying abreast of current nursing and healthcare practices. I would welcome the opportunity to meet with you and I can be contacted as detailed below. You may need to submit a sample recommendation letter with your curriculum vitae when you submit your cover letter. Make sure you submit a polished and professional portfolio – and then sit back and wait for the all- important invitation to an interview. [Don’t forget to send a thank you letter after the interview once you have attended the interview].